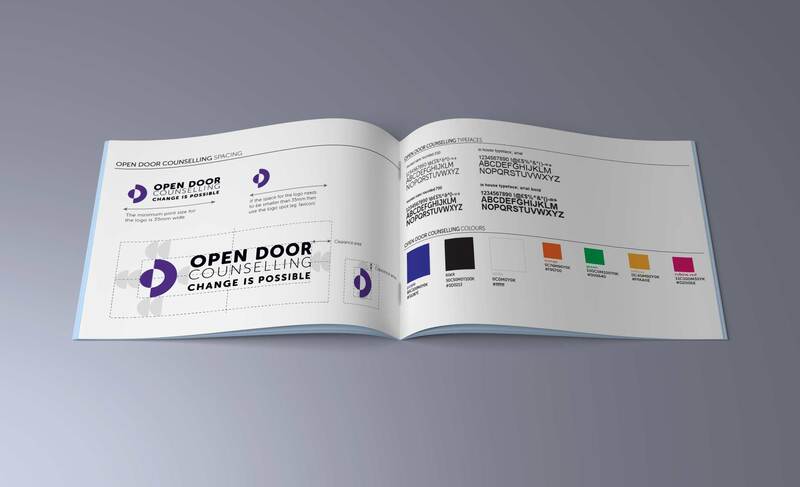 These three words jumped out when we were going through the process of thinking about what values were embedded in Open Door’s brand. It felt like the organisation lived these values every day, both in how they supported young people and in the strength and resilience staff had always shown in their determination to help Open Door and the people they supported to fulfil their potential. Just under 20 years ago I was a fresh-faced undergraduate at the University of Birmingham, doing what students do, getting drunk a lot and pulling all-nighters to get my essays in on time (I’m a little more organised now, but still do some of my best work in the middle of the night, there’s nothing like a deadline focus the mind). Little did I know that accepting a part time admin job at Open Door Youth Counselling Service would have a really strong influence on my career. Open Door was a little terrier of a charity, determined to provide a sanctuary for young people in distress despite the odds. Volunteers provided counselling services and a helpline, and a tiny team of paid staff, struggled to find the money to pay the rent from month to month. The organisation’s funding had just been pulled by the local authority and the future was uncertain to say the least. I ended up working there for more than two years. The organisation didn’t fold. Led by their inspirational Chief Executive Carmel Mullan-Hartley, it managed to get a lottery grant to set up counselling services in schools, and now, nearly 20 years later, it’s providing services in schools across the city, and is funded by local NHS bodies to provide counselling services to young people via GP referral. It has also just started providing affordable counselling for adults, who otherwise wouldn’t be able to access support. Working with our designer Kate, we presented a suite of concepts for their new look. One shouted loudly to all of us right from the start. To me it felt fresh and bold, but also familiar. Carmel and her team felt the same, but to her it was more obvious why it felt right. Without realising it we’d managed to return Open Door to its original branding. This was completely accidental, but felt completely appropriate. 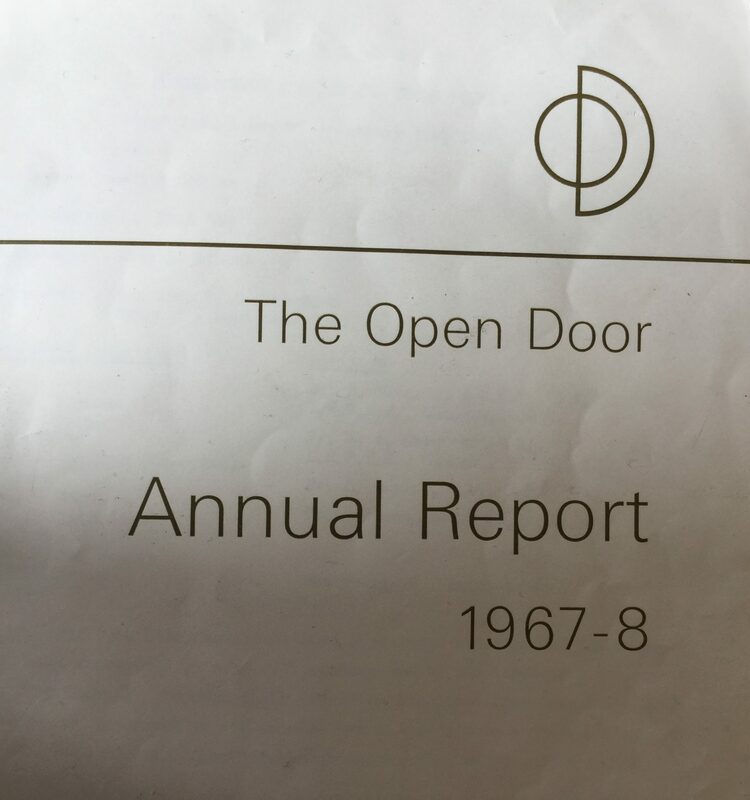 Despite all the change and ups and downs Open Door had experienced over the years, the organisation had always remained true to the values on which it was founded. It felt like a reincarnation, taking the organisation back to its roots, but clearly moving it forward at the same time. 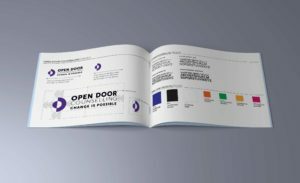 On 28 October I attended Open Door’s ‘Living with mental health’ conference, where they launched their new brand. It was a packed day of lectures, performance, comedy and some very moving and poignant accounts from young people of their own journeys through mental health. One young man spoke about how the relationship of trust he’d been able to build with his counsellor had helped him feel hopeful, and find a way to stop self-harming. Another spoke so bravely about the death of his brother by suicide, and how counselling had helped him grieve and come to terms with his brother’s depression. He felt if a similar support had been offered to his brother things would have been very different. So it may be a small charity, but it’s doing powerful work. 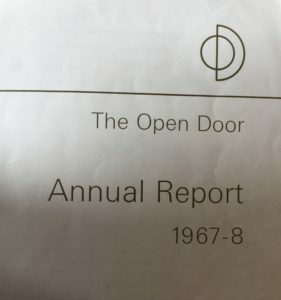 Being back involved has been like coming full circle for me too, and has reminded me of all the people, encounters and experiences I had during my time working at Open Door which made me want to work with the third sector in the first place. Twenty years on I’m so glad I’m still able to support organisations that are making a difference every day. So thank you Open Door, and happy birthday. 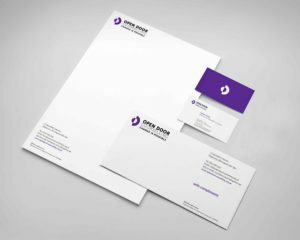 Kindlemix Communications helped Open Door develop a new look and tighten up their tone of voice and the way they describe their services. 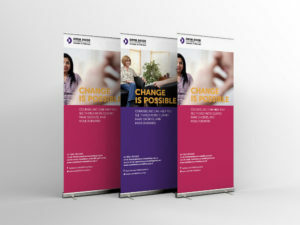 We delivered a logo set, stationery and style guide, a new website, and new marketing materials, including leaflets, event stands, branded tote bags and pens. 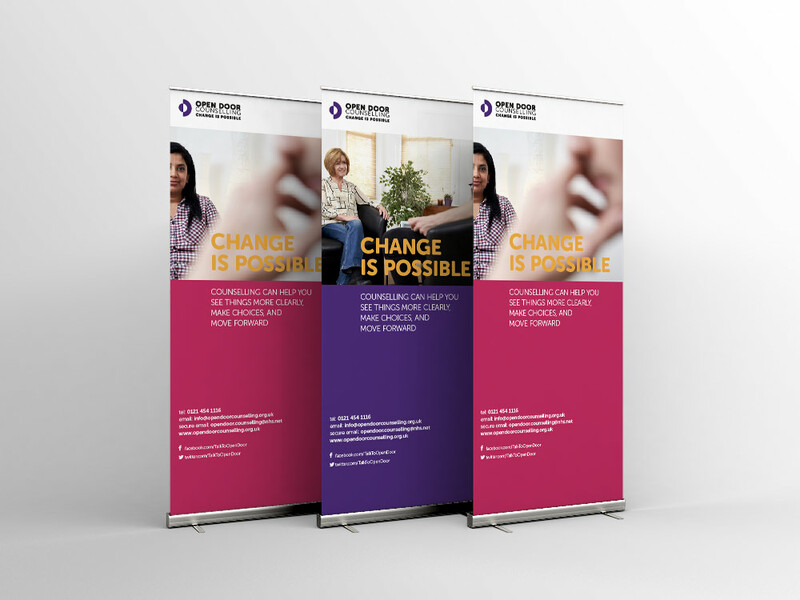 Take a look at some of our other design and branding projects.